And another interesting article turns up out of nowhere. Not that I agree with him about Manmohan Singh, whom I tend to see as Sonia's tame Singh. A human-rights lawyer from India is touring B.C. to raise awareness about the anti-Sikh riots that took place in Delhi in 1984. 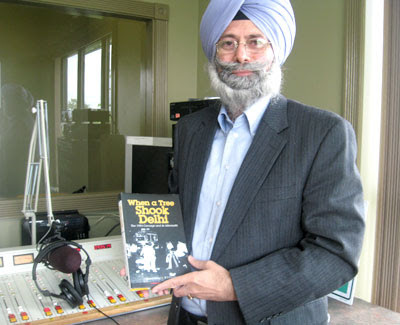 Harvinder Singh Phoolka represents victims of the massacres that followed the assassination of then–Indian prime minister Indira Gandhi by her two Sikh bodyguards. Satwant Singh and Beant Singh shot her in her garden to avenge Operation Blue Star, an Indian military raid lasting from June 3 to 6, 1984, on the Golden Temple in Amritsar, in the Indian state of Punjab. The Golden Temple is considered the Sikh religion’s holiest site. Gandhi had ordered troops to flush out armed Sikh extremists inside the temple. Several events will be held locally this week to commemorate what happened in India in June 1984. Phoolka will participate in events organized by a number of different groups, and he will speak at a vigil scheduled for the evening of Saturday (June 7) in front of the Vancouver Art Gallery. The 1984 attacks on Sikhs in Delhi and other parts of India was engineered by Gandhi’s Congress party, according to Phoolka. 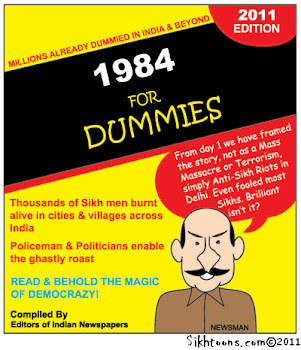 He has coauthored a book on the events, When a Tree Shook Delhi: The 1984 Carnage and Its Aftermath, which exposes the complicity of the Indian establishment in crimes committed against innocent Sikhs in the capital of the world’s largest democracy. 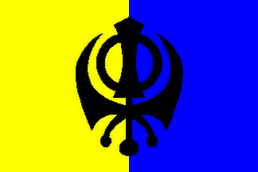 The Dashmesh Durbar Sikh temple in Surrey is sponsoring Phoolka’s trip. Although the temple’s directors openly support the creation of Khalistan, a separate homeland for the Sikhs, Phoolka clarified during a visit to the temple on June 1 that he does not favour an independent Sikh state in Punjab. “I am a proud Indian and will continue my struggle for justice by remaining a part of the mainstream,” he said. Phoolka told the Straight that he wants to maintain his integrity and won’t give his critics in the governing Congress party a chance to label him a separatist. He cowrote the book with Hindu journalist Manoj Mitta. “We wrote it from a nationalist perspective and not a Sikh perspective,” Phoolka said. Phoolka added that two Congress MPs still face allegations of inciting mobs to riot. Jagdish Tytler and Sajjan Kumar resigned from ministerial posts under pressure from the Communists, who support the Congress-led coalition government. India’s Congress party prime minister, Manmohan Singh, is a Sikh. “Although I am happy that India is being led by an able Sikh prime minister, the victims are still waiting for justice,” Phoolka said. Phoolka deserves a Bharat Ratna. He has shown utmost bravery. Where is SGPC, where is Punjab Govt? Even a small industrialist id given a Padam Shree, why not him? The Indian government wants to forget what was done to us in 1984. Do you really expect the same people who support jagdish tytler and sajjam kumar to honour Phoolka?